We will discuss every important thing over the phone and if you feel like meeting us in person we will come down to your home and make sure that we have a proper meeting. We will give you the best customer service there is and will not sleep until you do. This is a stressful day in your life and we want to make sure we ease the pain a bit. Ur Moving Company tend to be fast, so have people said, but we aren’t just fast, no we are also careful and friendly and will not do anything to harm any of your belongings. We only use safety supplies and everything is up to date and of course everything is nice to the environment. 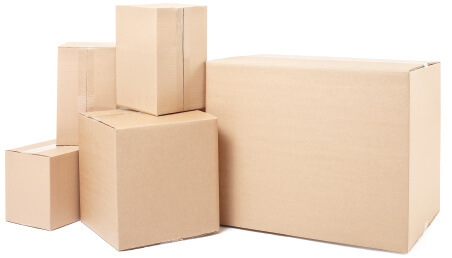 So Removals Man and Van is the one to go for when it is time for your South East London Move. It is important that you have time to organize and plan out everything you need for your new home and not having to linger in your old one. Let us do that for you. Even if you have time, you will want your move to be over as quickly as possible, and for that, your South East London Moving Company are the ones to call, just life the phone and dial 020 8746 4356 and we will answer all your questions without question. If you call us today, the day when you will be settled in your new home, having all your belongings unpacked and ready to be placed in their rightful places. We can make this happen for you, so that you can be sure to have lots of energy left when te fun part starts. We will only work after your schedule. We have workers that do the job around the clock so that we can adapt our schedule after yours. Some people have work to do and you are probably not any different. You won’t have to take one day off just to be at hand for us, we should be at hand for you. So whenever you have time, we will. Moving to South East London? Good choice. This is a fine area with lots of greens and good schools. The Boroughs covered here are Southwark, Bexley, Lewisham, Bromley and Greenwich. Have a stroll down Brixton which is a rather Jamaican area which shows in the many restaurants around. Some of these places are rated as the best places to live in London. Our Man with Vans have all the modern vehicles that will be used for your move. Your new neighbors will look at the new arrivals and think who is moving in with such a style! They are fully equipped with GPS so that time won’t be wasted on trying to find the new place and so that you don’t have to come with us. Maybe you are already at the place or something came up. We must be able to find the house. Plus, the job will be done quicker. So call us no 020 8746 4356 and we will set up a meeting if you feel that we are the ones you should go for. It is your move and your call, make sure you’ll make the best one. So what are you waiting for? Make Your South East London Move the best Ever!